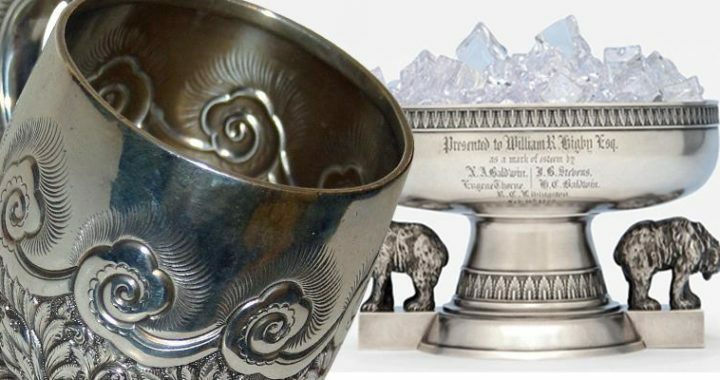 Have you inherited a set of antique silverware and are wondering if it’s worth anything? Perhaps you’ve come across various sets of flatware at estate sales or thrift stores and wondered if you should purchase it to resell to a collector. Knowing some of the most valuable patterns and sets can be helpful if you’re thinking about selling your silver. Here are some of these patterns you might want to look for. 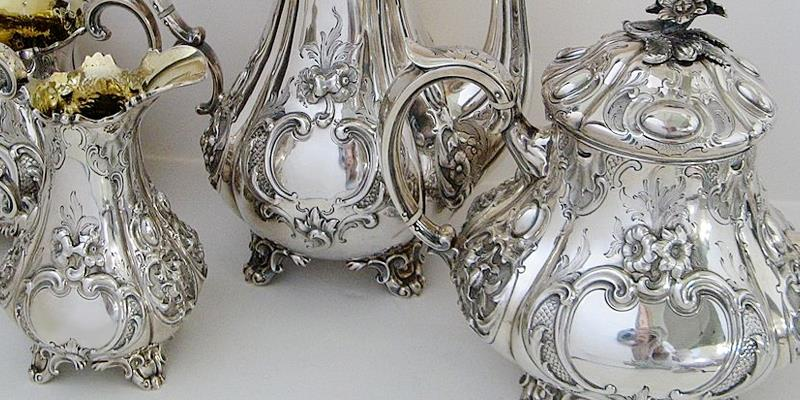 One good example of a set of silver that is worth a nice amount of money is the Wallace Grand Baroque pattern. You may find a standard set of four pieces (fork, salad fork, teaspoon, and knife) of this pattern selling for several hundred dollars. Like most silver sets, there are additional pieces available such as soup spoons, butter knives, and cocktail forks. There are a number of different factors that will determine the overall price you can sell a set of this silver for. Audubon by Tiffany – this pattern was produced during the 1950s. In addition to sterling silver, a gold-plated version of the Audubon pattern is also available. 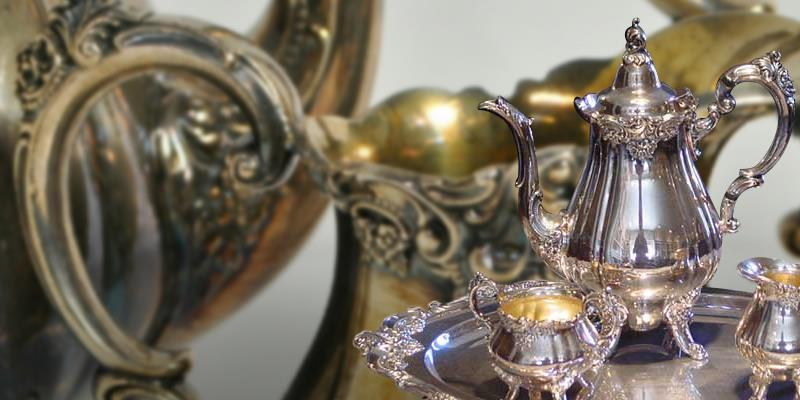 Reed and Barton St. Frances – Reed and Barton began producing sterling silver sets in the 1800s. Their older sets are highly sought after, especially since the company went bankrupt in 2015. Rose by Stieff – Stieff, now called Kirk-Stieff, produced a number of patterns. Their most famous is the Maryland or Stieff Rose pattern, a unique print that has been manufactured since 1892. Cactus by George Jensen – this art Deco pattern was mainly produced during the 1920s and 30s. 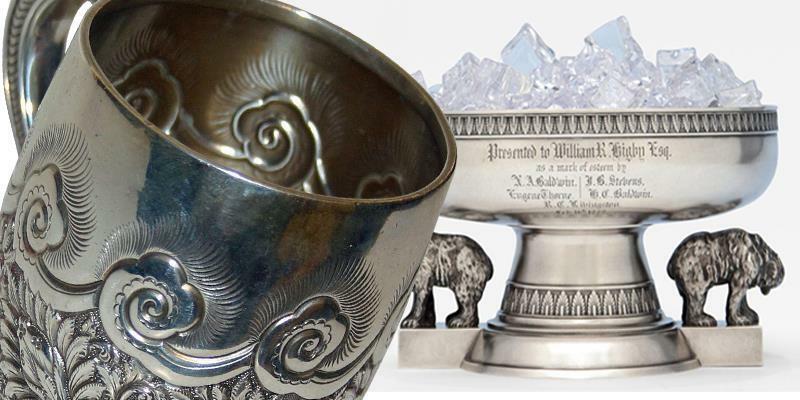 Grand Victoria by Wallace – while not the pattern that made Wallace a true name in the silver industry, the Grand Victoria is still very popular among collectors. What Makes a Set a Gold Mine? How do you know if you’ve got a truly collectable set of silverware or if you have something that’s best used at your next family gathering? There are a number of things to take into account. A few pieces of Rose by Stieff may sell fairly well to someone who needs to complete their set, but overall, collectors generally want full sets. A set of Audubon by Tiffany that’s polished, unbent, and undamaged will, naturally, fetch a higher price than a set with rust and obvious heavy use.